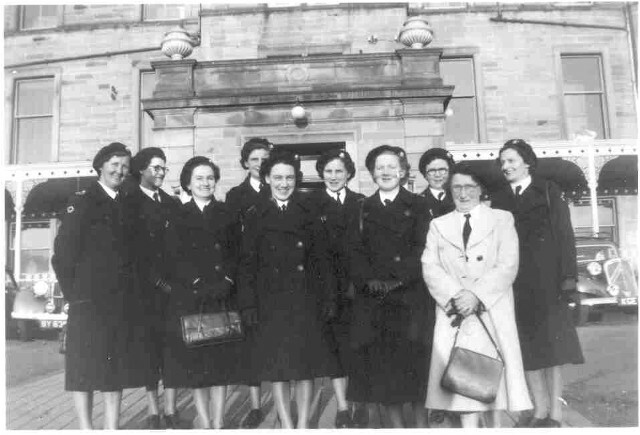 A picture of the Red Cross taken in the mid 1950s. Left to right: Mary Proudfoot, ?, Barbara Clark, ? at back, Chris Fraser, Doris Shaw, Anna Laing, Mrs Graham (at back),?, ?